​Dr. Vince Simoncini’s circle of friends keeps growing. Last year, he had 1,700 – patients he saw at his practice. 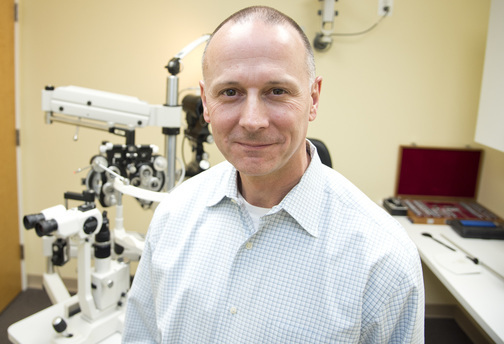 Vince, 53, opened Anne Arundel Family Eye Care in fall 2007. Prior to that, he worked at four other practices in Maryland and Virginia. He grew up in Prince George’s County with an eye towards a career in health care. While he was in high school at Bishop McNamara, Dr. Francis P. Chiaramonte, founder of Southern Maryland Hospital Center, took him under his wing, providing advice and support. Vince runs his Annapolis practice with two full-time and two part-time employees. 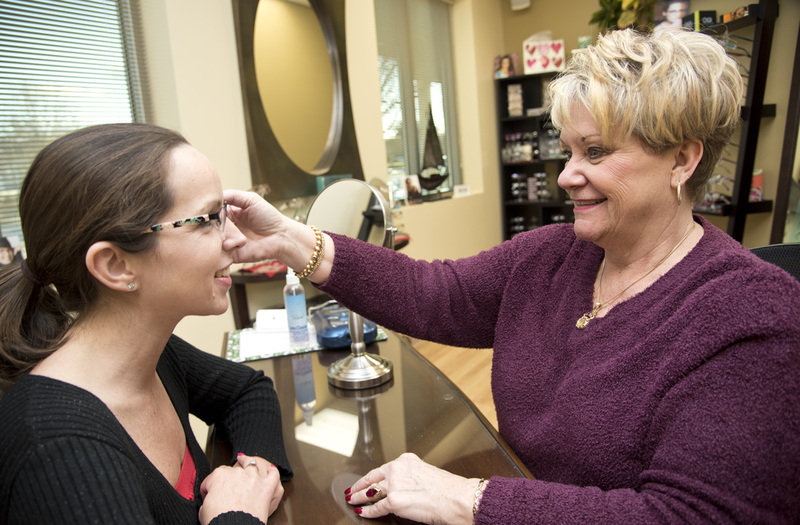 The 1,400-square-foot space in the Anne Arundel Gastroenterology building includes an exam room, a pre-test room, contact lens fitting area and a selection of 600 of the latest and most fashionable frames from 20 designers. The goal has never been to get the most people in the door. It’s to provide personalized and compassionate care. When he’s not in the office, the Annapolis resident enjoys sports and is an avid foodie. He plays golf and is a fan of the Nationals and Redskins. ​Karen Westover went to the eye doctor for an exam and never left. She visited the optometrist as part of a pre-college checkup and he asked her to fill in for his receptionist – temporarily. “I stayed 5 years.” The optometrist even paid for her coursework to become certified as an optician. She’s never looked back. Karen, a West Virginia native, worked at three other practices before helping Dr. Simoncini open his office. She met him at an educational seminar and they clicked. “He is just a very dynamic person,” she said. Karen said women tend to be the most fashion-conscious when picking a frame, but male engineers can be among the pickiest. “They’re so technical,” she said. Nevertheless, she’s up for the challenge. She wears glasses herself and knows about the “in” frames, as well as their details. ​Eyewear tends to run in five-year cycles, she said, so the popular styles typically move from rectangle to square to round – and then back again. 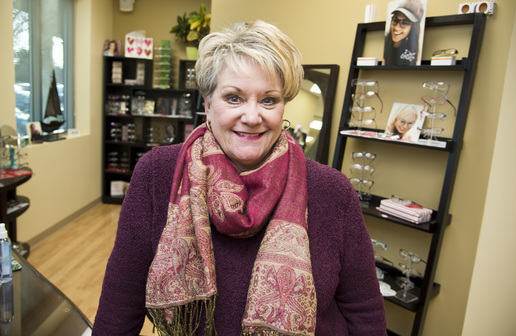 When she’s not at the office, the Odenton resident enjoys movies, dancing and trying out new restaurants.